It has been known for quite some time that French auto manufacturer Renault is developing a compact MPV based on the Kwid platform. 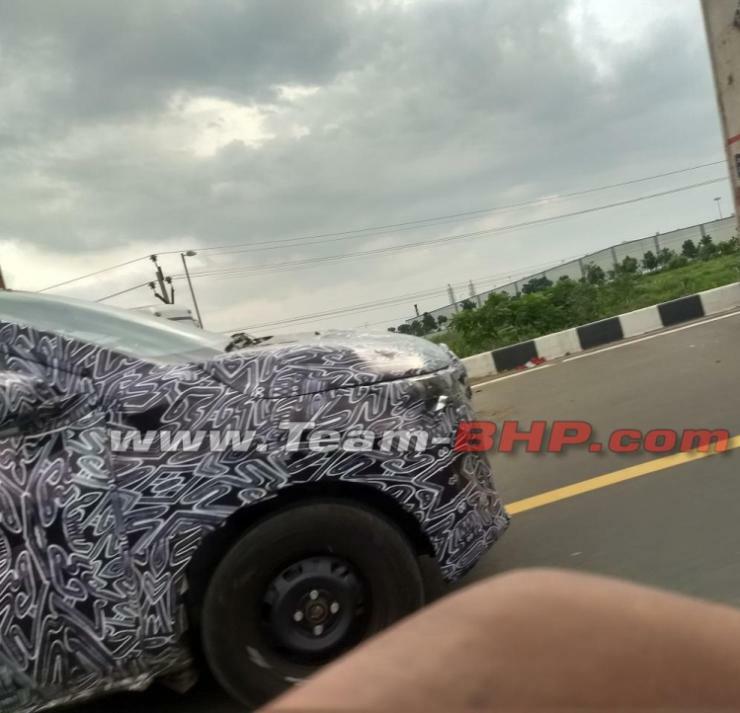 Folks at Team-Bhp have gotten their hands on a few spy shots of the Renault MPV’s test car. Code-named RBC, the car will strengthen Renault’s position in the people mover market and will go up against the Maruti Suzuki Ertiga. 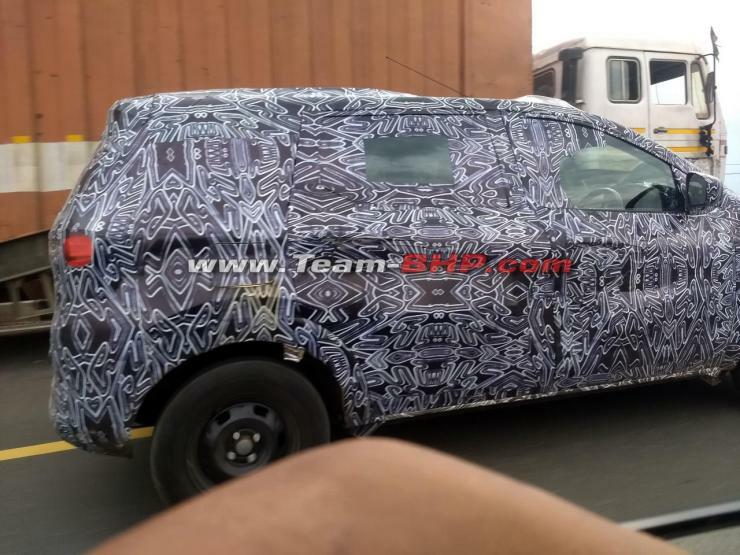 The test car has been spotted in Oragadam near the Renault-Nissan manufacturing facility in Chennai. The spy images don’t reveal many details apart from the unmistakable MPV side profile. Heavily camouflaged, the test car appears to have wraparound headlamps and a new grille that seems to be protruding towards the front. Though the rear profile is not clear due to the heavy camouflage, the car seems to have wraparound tail lamp clusters with a high-mounted stop lamp at the top of the tailgate. The MPV is running on blacked-out steel wheels and tires. They look quite small compared to the overall size of the vehicle, but they could be swapped on the production versions. Word is out that the Renault RBC is likely to be based on the company’s CMF-A+ platform.The car is likely to get an updated version of the Kwid’s 1.0 litre petrol engine. In its current form, this 3-cylinder engine produces 68 Bhp of power and 91 Nm of torque but expect it to churn out more power when used on the MPV. A diesel is unlikely to happen as the company doesn’t have a suitable powertrain for a low-cost car yet. The new MPV could have an AMT option in addition to the manual gearbox, just like the Kwid. Safety features like dual front airbags, ABS, and rear parking sensors will be available as standard on the whole range to comply with the new safety regulations coming into effect from October 2019. As of now, no word is out yet on pricing but expect Renault to place it near the Rs. 6 lakh bracket in order to be competitive. Currently, the only other people mover that Renault sells in India – the Lodgy MPV – is a poor seller, and the brand will be hoping that the RBC reverses this.